Sleep Well - This blend combines nature's most relaxing and soothing essential oils with our Massage Base to help you find restful sleep and sweet dreams. Uplift & Energize - Carry this blend with you wherever you go to give you that extra boost of healthy energy when you need it! 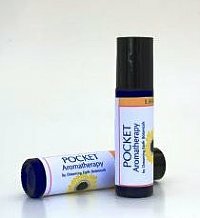 Arthritis - This blend is designed to bring quick relief to the pain and discomfort of sore or arthritic joints so you can get moving again. Muscle Relief - Carry this Pocket Blend with you for relief from sore muscle pain throughout the day.